Here in the Anker Community, we’ve just welcomed over 2000 fresh new faces. It’s time we asked our newest fans (and our more seasoned ones as well!) for their feedback. Reintroducing: Review Week. From July 18th through the 23rd, we’re collecting all the Anker reviews we possibly can—from you. Pick your favorite Anker product to showcase. Write a review (no more than 300 words) or create a video. Post your review text (or a YouTube link if you’re rocking a video) in the comments below. We’ll let our creative team peruse your submissions and choose their favourite. We’re looking for creativity, information, and insight. We’ll take “likes” from other users into consideration as well. In your review, tell us your overall impression of the product you choose to cover, your favorite feature(s), and some things you think we could improve. Whether you’re doing a text or video review, remember to be entertaining as well as insightful. The more engaging you can make your content, the more likes it will get, which brings you closer to that big shiny Anker prize box. You can even blast out your review on social media to generate more attention. We can’t wait to see what you come up with this time. Happy Reviewing! One entry per person. All content must be your original creation. Reposting or copying all or part of someone else’s work will not qualify. You can use a review that you’ve written previously—but maybe spruce it up a bit to make sure it’s as interesting and informative as possible. Entries will be accepted in the comments section below from July 18th to July 23rd. Our winners will be announced on July 24th. Anker’s Community team will select 10 winners based on content quality and likes from other members. This is so exciting! Gotta think BIG! Full of sound and battery. I have been looking at this speaker since it's release. At one point it was £20 and I was so gutted that I did not get it for that price. Eventually I decided to get this little beauty; and I was not disappointed. It comes in the standard Anker boxes which are packed well. Once you pick up the speaker if feels sturdy and weighty, which always reassures me of quality build and parts. It also looks stylish. It was a little bit smaller than I expected but that is a good thing, considering the power it backs both sound wise and battery wise. Connecting was so easy just open up bluetooth on your phone and its there just connect to it and you are good to go. The sound is very clear and I have tried it with many different genres and the clarity of the low and high notes is very good. Its not as basy as the bigger Anker speaker but it is a joy to listen to. Battery life is amazing I got quiet a lot of playtime out of it, roughly 20 hours but that was listening to it on full blast which does fill up a room and then at lower levels just to enjoy music in the office. This speaker is a charm, great size and sound and I would recommend this because the sound is great, the battery is fantastic and it looks great; plus an 18 month warranty. 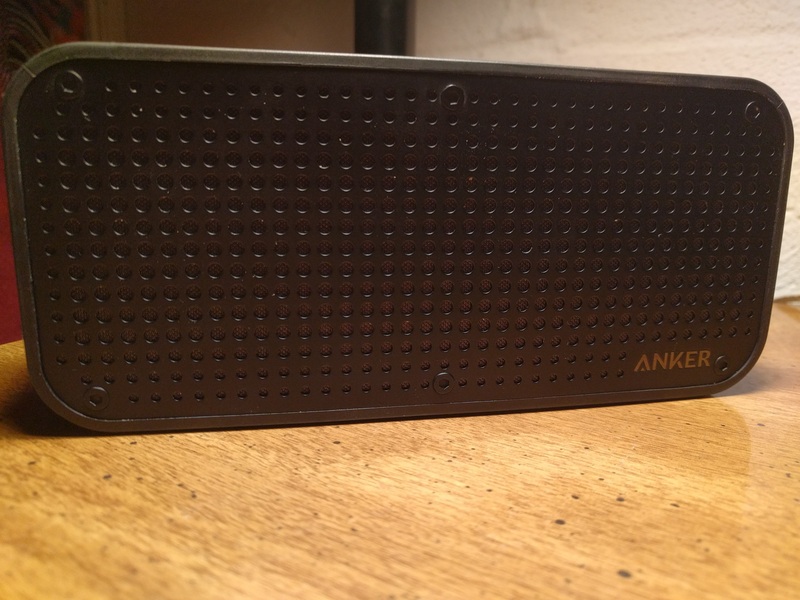 Ladies and gentlemen I would like to share my thoughts on my favourite portable speaker that I have ever own - I present you with the Anker SoundCore. I've had it for over a year and I've never looked back. It's light, portable, loud with impressive sound quality and the battery lasts for 24 hours! Yes you heard me right, it can play music for 24 hours which will be enough to provide music for the longest party that you might ever have. Then just charge it overnight (9 hours) and you are ready to party again. If you only play music for a couple of hours a day this speaker will last you for weeks. This didn't surprise me as Anker has one of the best power banks in the industry so they know a thing about batteries. Sound quality is really good even at loudest setting. No problems connecting with Bluetooth and the range is really good. There is an LED light on the speaker that shows when the speaker is ON and it will flash when it's in pairing mode. It also makes a sound when a phone gets connected to it and when you turn it off. The feel of the SoundCore is really nice and sturdy as it has a rubbery finish so it won't slip out of your hand and I even found it to be water resistant, as it was out in the rain and nothing happened to it. Overall Anker SoundCore is a superb speaker and very good value for money. On top of that you get outstanding customer service from Anker in case you have any questions. Top marks! Anker has become my go-to brand for charging products. Everything from rapid charging outlets to portable batteries to USB cord are durable, well made, and functional. Three years ago, I asked a friend for a recommendation on a portable battery as I had been extremely unsatisfied with ones I had purchased off the shelf and he sent me the amazon link for Anker. Let's just say, I've never looked back. This is my 3rd Anker PowerCore 10000 product, and each one has been better than the last! My family and friends borrow them all the time and they still hold a charge, even that first one from 3 years ago! I purchased the Anker PowerCore II Slim 10000 for the form factor as I have been often finding myself using my phone while charging. This charger is everything as described; both light and thin, it closely mimics the dimensions of my smartphone while the silicon side is soft and grippy - ergonomic is the word that comes to mind. I have been able to get 2+ full charges on my smartphone while in use. My favorite thing is the technology packed into this device. It detects and delivers the fastest charge safely. 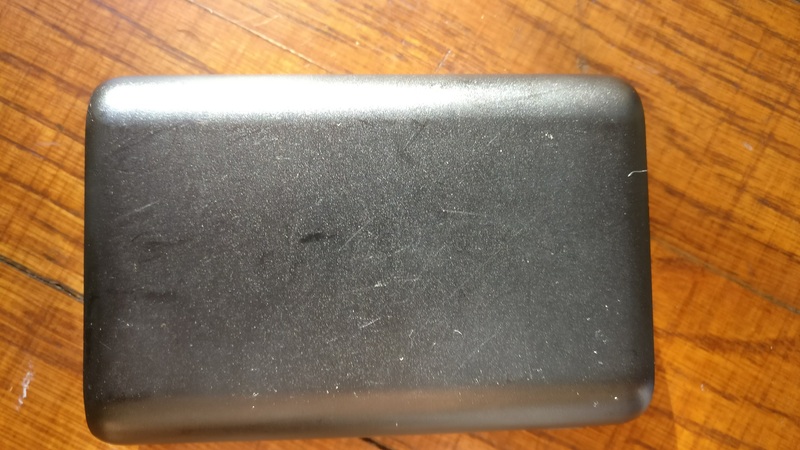 I have had several rapid chargers in the past that cause my phone to feel like it's overheating, especially if it is in a case, but I have never had this problem since I started using Anker charging products with IQ technology. Again, I often use my phone while charging using the Anker PowerCore II Slim 1000 and both devices (phone and charger) remain at a comfortable temperature. 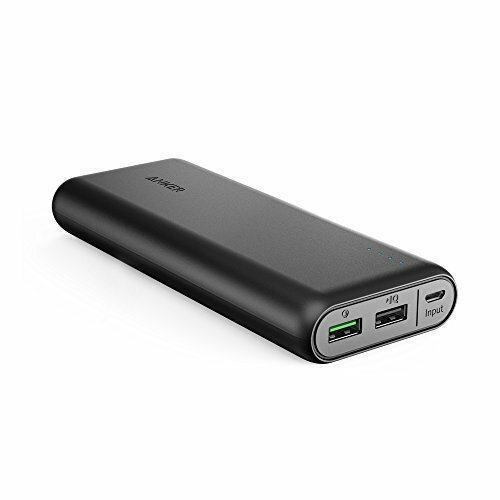 In short, Anker makes great products and the PowerCore II Slim is a fantastic device. Looking forward to purchasing more innovative devices from Anker! I use a number of Anker products every day but if I had to pick one product it would have to be the Anker Powercore 10000.
dense and light. For a relatively compact package I get two full phone recharges or one larger tablet recharge. The density and weight means I can shrink my total luggage down in size. I can travel long days and not be worried about power. This means I can keep working and playing and be last to board the plane as I don't have to worry about luggage space. 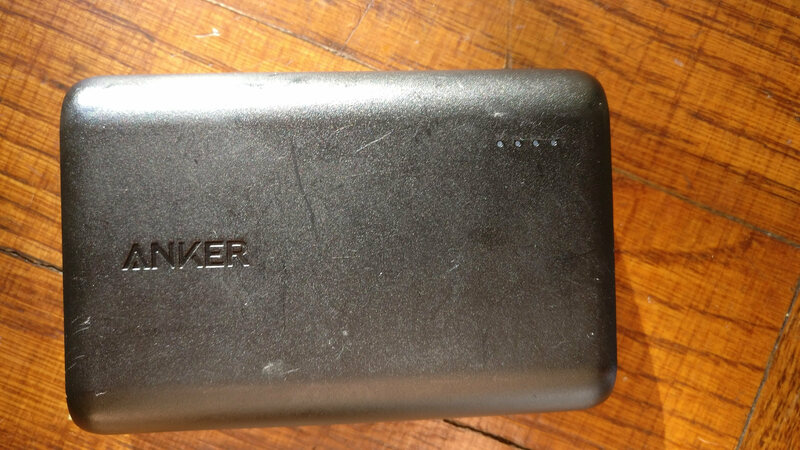 The Anker Powercore 10000 means I can be the most relaxed chilled traveler ever. it has a dense recharge capability, 2A input. So that means it recharges fast (using .... an Anker Powerport but you said pick 1 product). it is sufficiently small it can fit in my "emergency" pack. With the Powercore 10000 a USB cable, I.D. some cash and creditcards, I handle the "get out and run!" problems which happen as I travel. I do live "off grid" for a few weeks, just me and sheep and rain, and with a solar panel I can recharge the Powercore 10000 in the one sunny day every few days off solar or the odd pub's wall socket. it simply works. I'm probably out of warranty now/soon with this unit but it has served me well and I'd recommend it to anyone and everyone as if there's one Anker product you should own, it should be the Anker Powercore 10000. By the way its mine. Mine do you hear! The Anker premium USB-C mini dock will transform a single USB-C port from your laptop into a multi functional port featuring two USB 3.0 ports, one HDMI port (4K compatible), One SD card slot, One Ethernet port, and One USB-C port. This unit also features power delivery when plugged into a outlet to charge not only your phones and tablets, but your laptop aswell. The mini dock sports a sleek design with aluminium casing for superior portability and durability. The Anker premium USB-C mini dock is a no brainer especially for those who owns or have plans to purchase the latest macbook. As we know apple is strongly pushing out USB-C with all their devices forcing us to buy multiple adaptors. Anker have provided us with a quality adaptor to satisfy all of our primitive technological needs. Thanks I hadn't noticed the 300 word Max so shrunk it somewhat to a little under 300 words. 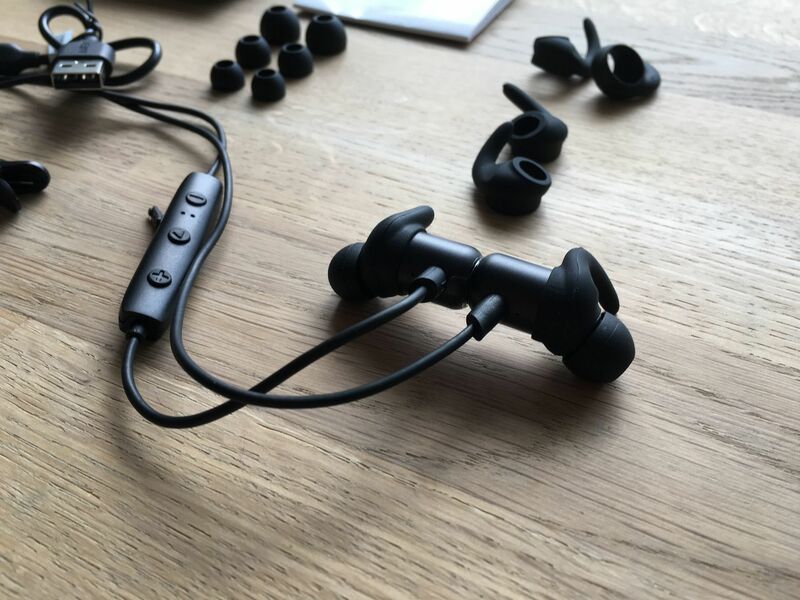 Anker’s SoundBud Slim are an excellent item for those who have finally decided to severe ties with the trusty cable and go wire free (well almost). The Slim’s give clear audio over various music genres with a warm amount of bass, thanks to 6mm precision audio drivers. Build quality is solid but with a lightness rarely seen in a budget range device (a slight 15g). 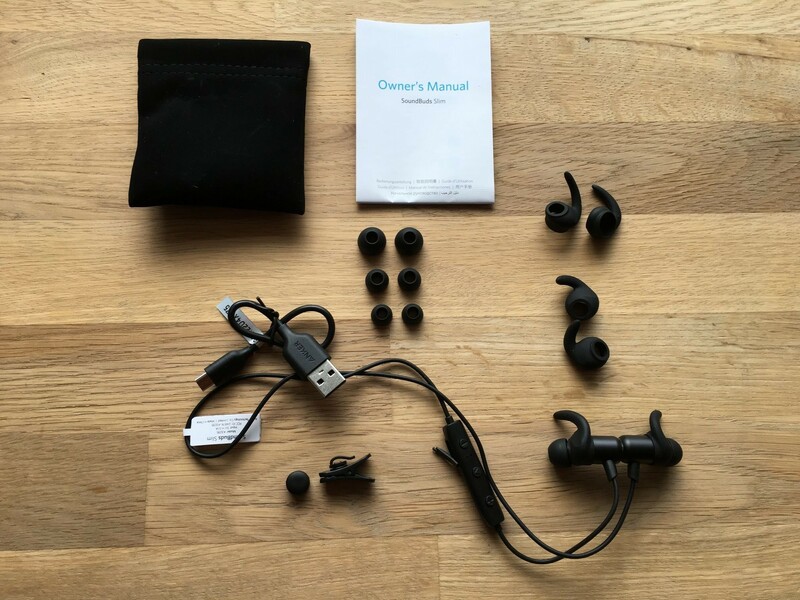 IPX4 rated, these can easily handle kicking back in the home/garden to your favourite tunes or audio books but can still cut the mustard when punishing yourself on a run or in the gym. Helping to support this activity is a not so shabby 7hr battery life (depending on volume and content type), with a speedy 90min recharge. When not in use, the Slim’s can be securely stored around your neck thanks to the magnetic EarBuds, so they are easily to hand when your ready to go again. Coming with Bluetooth 4.1 the connection is reliable for BT compatible phones and computers, eliminating audio/video lag during use and allowing freedom from your device of a distance up to 10m. Charge level can be monitored to an extent via iOS notification centre and thanks to the built in mic, calls can be made and answered on the fly with decent clarity. Inline remote covers play/pause/answer/voice, volume up/skip forward, volume down/skip backwards and also house’s your recharge port. Included with the Slim’s are your charge cable, clothes clip, travel pouch and alternate in-ear tips and hooks covering Xtra-Small to Large, to cater for all ear sizes. If you are just making a jump to Bluetooth earphones these are an great choice for multipurpose use and a bargain at £16 (or less on Amazon or Anker deal days). 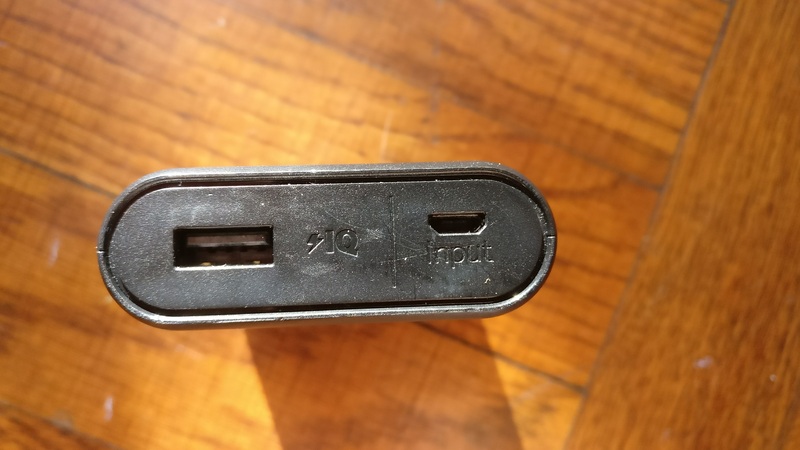 It was not easy to do just one review on an Anker Product. 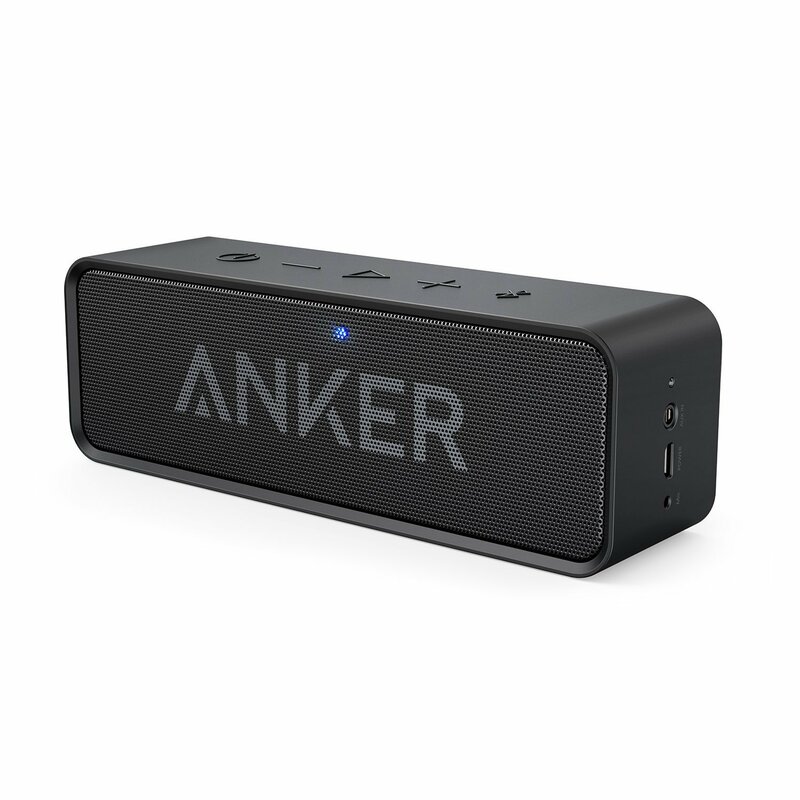 I have several products from Anker and it was a tough pick between the PowerCore+ 20100 USB-C and the SoundCore Sport XL. I am going to go with the product I use everyday. The SoundCore Sport XL is a 5 Star product from Anker. This Bluetooth speaker has everything you can think of. It is built tough and can withstand heavy usage from indoor (listening to music) to outdoor use (by the pool). The battery life is excellent (15 Hrs.). One of my favorite features is that it turns off automatically when not in use. Not only is the SoundCore Sport XL a Bluetooth speaker, it can also charge your device. The sound quality is outstanding. This was my first ever Bluetooth speaker and I was very pleased and happy with it. My world change after I got this speaker. I use the SoundCore Sport XL everyday. From listening to my favorite music to watching my favorite TV show, I highly recommend this Bluetooth speaker. If you are in the market for an awesome Bluetooth speaker that is heavy duty with great battery life and can charge your device, and has great speakers, I would get the SoundCore Sport XL. Ladies and gentlemen, bear with me, as I think this is my first written review (I mostly do video reviews), but I thought I'd give this a shot. Get ready for a very bumpy ride! 300 word count limit starts NOW. so I guess that makes it my favorite one too. Although it might not seem super exciting at first glance, sometimes the most useful products aren't the ones that make you jump up and down. We do not take it when we travel (which isn't a whole lot), but it is excellent for the home. Ironically, we are on a vacation now in an undisclosed location. I really wish I would have packed it because our hotel room has very few available outlets. Actually we’re using Anker power banks. Unfortunately, that also means I'm not able to provide many pictures of the strip in action. Dang, this review is falling apart fast. At least I warned you! Anyways, when we are using it, the 6 AC outlets and 4 high-powered USB charging ports can charge plenty of our devices at once. It also powers my weather radio. This all fits conveniently in what I like to call my power drawer. Give us a couple USB-C ports and a few more full size Type2 ports (@nigelhealy) - they're full size Type A ports. Increase the wattage to 48W so that we can have 2.4A per port all at once. Nonetheless, I can't recommend this product enough. I'm in love! Thanks for making such quality products @AnkerOfficial! The modern day smart phones consist of non-removable battery of around 3000+mAh. But, even today these smartphones require charging 2-3 times a day. I have used multiple battery pack in the past, inspite of that used to find myself plugged to the wall outlet, as I constantly use my phone and tablet. After using Anker PowerCore 20100 it feels like having a compact wall outlet on the go. It has a robust design and charges my phone more than 6 times at an incredible speed. Because of Anker PowerCore 20100, I am also famous as the "Power Source" within my colleagues, as they do borrow my Anker PowerCore a few times when they are low on juice. I believe, life had never been this easy in the smartphone era with not so smart battery packs. This product is a definite win-win for now and also for the near future.